Designed to offer performance and accuracy, Speed-Shok shells feature exceptionally uniform steel shot driven at impressive velocities for tight patterns and plenty of knock-down power to bring down the game, even at long range. The high-density plastic wad has a high-efficiency gas-sealing flange for maximum efficiency to further ensure tight patterns. High output primers provide consistent ignition and dependability, even in cold, wet weather. 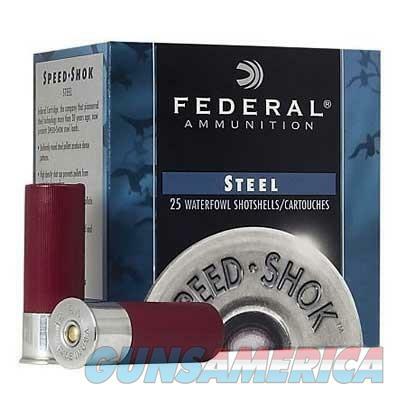 Available in a variety of buckshot and birshot loads. 25 shells per box.